Watching the annual music awards season roll through reminds me, I've learned a lot about the business of being famous and what it takes to be in that spotlight. At some point, I think we all bump into fame. Sometimes that spotlight is exciting and sometimes it's not. When that happens, I find myself looking for the exit. I love creating music and being at the centre of that process, especially when an idea becomes a song. And I'm learning to like performing or at least becoming less nervous about it, thanks to the gifted musicians who have taught me so much. When you perform, mostly its for people who love music and appreciate what it takes to be in front of them, playing and singing about the most intimate parts of your life. But selling your music and yourself are part of an entirely different world. That's where the show business begins and everything gets hard, at least it does for me. 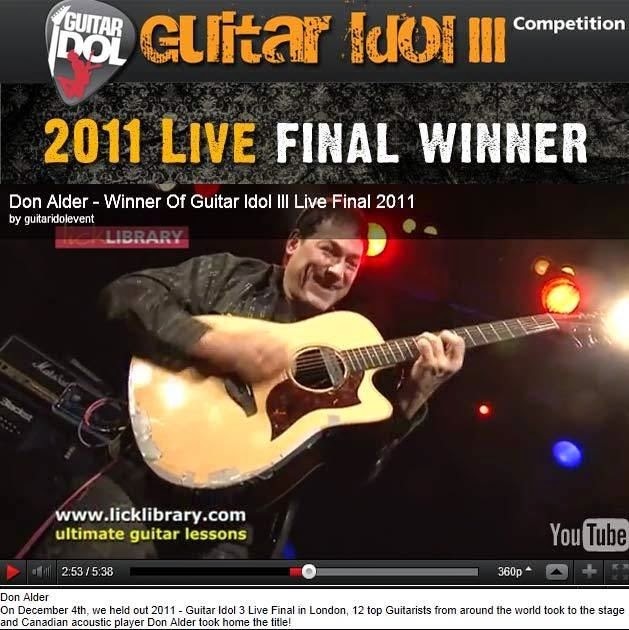 The story of how I won the 2011 Worldwide Guitar Idol in England is the best way I can describe what I mean about show business and dancing on the edge of fame. The year before in 2010, I'd won the Guitar Superstar event in the US and before that in 2007, I was Fingerstyle Champion. But on that far away stage in England, none of the history mattered. I had jet lag and wasn’t totally focused. I wasn’t physically up to speed. My hands and nails were too dry and my head wasn't ready to play. I forgot to change the strings on the guitar, so it wasn’t playing properly or sounding right. Making matters worse, my guitar was accidentally smashed before I performed. 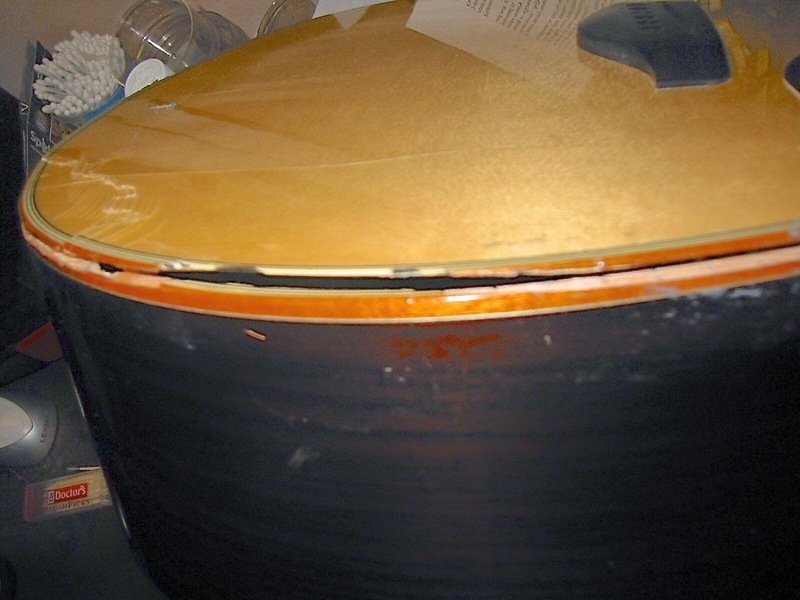 It was barely hanging together with duct tape and it was slipping in and out of tune. Standing under the lights preparing to play, I had flash back and not a good one — of walking on stage after the Who performed and picking to the guitar Pete Townsend had just destroyed. Then I took a breath and opened my eyes back in the real world, still in England with the audience waiting patiently for me to begin. My nerves were on fire and yet somehow, I slipped into the music and played my heart out. Nothing else mattered, at least until the music stopped. Then I began to think too much and began looking for the exit. Incredibly, I heard my name being announced along with the words, winner and Guitar Idol in the same sentence. Part of me was swept away in the applause but the other part believed, I could not have won because I just wasn't prepared. Besides so many things had gone wrong. It was confusing. Struggling, then winning and being celebrated for something, I could have done so much better. I was alone in the spotlight, overwhelmed and not sure if I deserved being there. I just couldn't get my head around what was happening. Fortunately like many things in life, it was not about what I felt emotionally, it was about what someone else decided, objectively. Maybe they heard something, I didn't? Maybe I couldn't hear at all because playing your heart out, you go somewhere else? Nonetheless, I left England in 2011 a Guitar Idol. Thinking about it now, I might have used my time in the spotlight to thank Linus for the use of his blanket throughout my career and the guy who invented the Duck tape that kept my guitar and me from falling apart. I have never pursued music because I wanted or expected anything from it. I play because it helps me remain at peace, in a world that can be confusing, unfair and sometimes absolutely delightful all in the same moment.